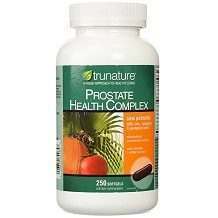 TruNature Prostate Health Complex is a dietary supplement designed to support prostate health. The ingredients used in this supplement are often used to treat diseases such as BPH. However, the manufacturer only advertises that this supplement supports overall prostate health. It does not advertise specific results or benefits. These ingredients are generally known to support prostate health. Some of these ingredients, such as saw palmetto, are often used to treat BPH and can help restore normal urinary function. Other ingredients, such as Lycopene, help prevent damage to the prostate caused by free radicals. Ingredients, such as pumpkin seed oil, are meant to decrease enlarged prostate symptoms. It is unclear if the additional list of ingredients are active or inactive. Unlike the first list of ingredients, the mg amount is not given for these ingredients, suggesting that they are inactive. However, some of these ingredients are also included in the active ingredient lists. Other reviews about TruNature Prostate Health Complex list additional ingredients not found on the manufacturer’s website. This could suggest inaccurate information being shared about this supplement. The recommended dosage for TruNature Prostate Health Complex is one capsule a day. The manufacturer does not provide any further information regarding how long this product should be taken in order for results to become apparent. Individuals taking medication should consult with a doctor before taking this product. TruNature Prostate Health Complex is not available through the manufacturer’s website. There is a ‘buy now’ link that leads customers to Amazon where, at the time of writing you could buy TruNature Prostate Health Complex for $23.44 for 250 softgels. We were not able to find any guarantee or return/refund policy provided by the manufacturer. TruNature’s website provides disclaimers saying it is not responsible for inaccuracies listed on other websites. TruNature Prostate Health Complex looks like a good product. 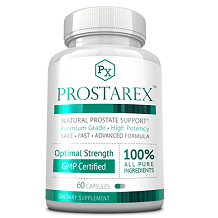 Its known active ingredients should be effective in relieving prostate issues and we like that the manufacturer is clear about what its product does and doesn’t do. Reviews for this product are quite predominantly positive on Amazon and many customers claim this supplement works as well, or better, than similar prostate supplements. However, there is not a lot of information about this product and there are some discrepancies regarding the ingredients. Furthermore, and perhaps of greatest concern, there is no money-back guarantee, meaning customers will not be compensated for defective products nor can it be tried risk-free.